HTC Windows Mobile 7 Handsets to Launch in Q2 2010? The HTC roadmap that was leaked some time back revealed that HTC is set to release three Windows Mobile based handsets in the first half of 2010, the HTC Photon, HTC Trophy and HTC Tera. None of these mentioned devices can be graded as high end devices. The roadmap, thus brought somewhat disappointment to HTC fans. However, WMPoweruser via XDA is now reporting that HTC is likely to launch its first Windows Mobile 7 based handsets in the Q2 next year. It further adds that Microsoft has moved back the release of WM7 and chosen HTC as their strategic vendor to launch the first Windows Mobile 7 based device in late Q2, or in the beginning of Q3 2010. Anyway’s…I have truly fresh news to share with you which absolutely make sense why in HTC’s portfolio there are no such WM7 phones…and just simple QWERTY or not, WM6.5 ones. Microsoft, as many of you already know…moved back, the primal release of WM7 and chosen HTC as strategic vendor to launch the first HTC WM7 device late on Q2, start of Q3 2010 (September), so everything up to now, is under discussion and will be finalized till End of April of 2010. This statement, however, is in contradiction with what Phil Moore, Head of Microsoft Mobile Division in UK said last week. He confirmed that phones with Windows Mobile 7 wont be available until late next year. He announced this in a Q&A session held at the ‘Connect’ technology summit in London. So the appearance of first HTC WinMo 7 handset in Q2/Q3 2010 looks highly unlikely to me. We’ll still recommend you to get HTC HD2 now as there is no point in waiting for Windows Mobile 7 devices as they wont be appearing any time before Q4 2010. HTC HD2 is by far the best Windows phone that is available in the market with 4.3 inches capacitive multitouch display, powered by 1Ghz Snapdragon processor. 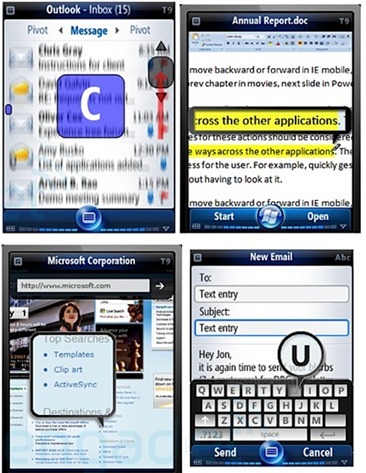 And if the rumors are to be believed, HD2 may get Windows Mobile 7 upgrade, once it is available in late 2010. In fact, I have a feeling that HTC will announce an official upgrade path for HD2 once they launch it on T-Mobile US, early next year. You can follow us on twitter or join our facebook fanpage to keep yourself updated on all the latest from Windows phones. Also in January, comes the HTC Passion. Almost identical specs to the HD2, except the Passion runs Android. Now you get to choose your OS. I spoke to HTC support today 3 july 2010. Thewy state that the hd2 will not be getting the upgrade to windows mobile 7 as it is not compatible.